Natural History has always been and remains a subject of great fascination. The flora and fauna which surround us are an important factor in the natural beauty of our country and there's something in most people that likes to connect with nature. 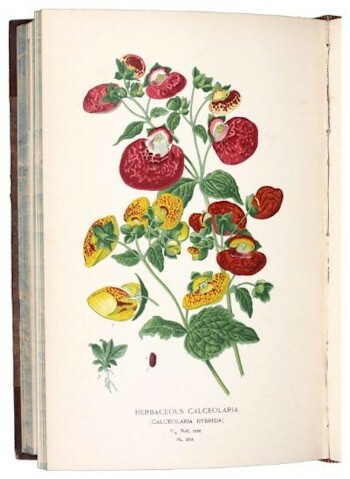 Edward Step's Favourite Flowers of Garden and Greenhouse in four volumes with 316 chromolithograph plates (BK9/348) sold for £450 at auction in the February 2013 Antiquarian Book Sale. In the 18th and 19th century, before the advancement of photography, many talented artists turned their hand to the illustration of the natural world around us and some of these works are now highly prized to collectors. Scientific discoveries, especially from the late 18th century onwards as the industrial revolution gathered, form the basis of out modern life and the works in which they were first introduced are important markers in our understanding of the world. The early works of Charles Darwin are highly prized. Charles Lyell also made important geological discoveries. These men and many more recorded their work and modern students can still learn from them. Important studies of all forms of Natural History, such as works by Bewick, Culpeper and Goldsmith come regularly to auction, as does work by the great illustrators such as Thorburn.